HOINK! 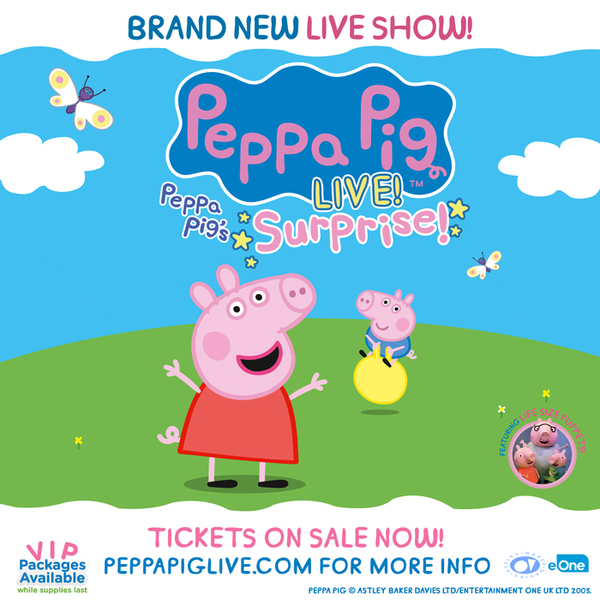 Tickets for the all new 'Peppa Pig’s Surprise' Fall shows are ON SALE NOW! 'Peppa Pig’s Surprise' will visit more than 30+ cities across North America, find your show HERE!